30 km: Münster-Osnabrück (FMO) When you arrive at Münster-Osnabrück Airport, an express bus - "FMO-Express" - is available to take you to Münster Main Station (travel time approx. 30 min.). 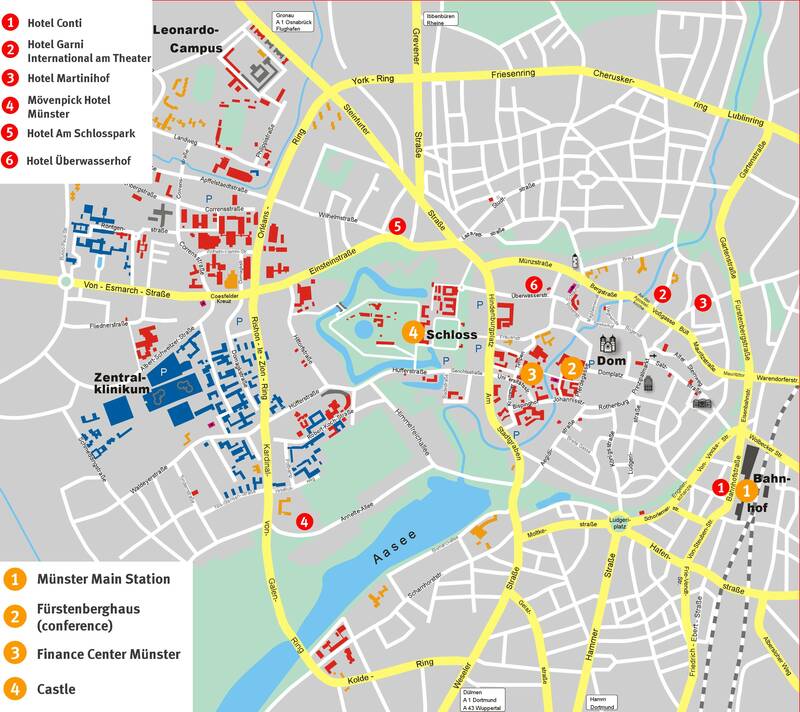 If you fly into Düsseldorf Airport (DUS), you will have to take a train to Münster. For train tickets please go to the Deutsche Bahn website. You have to select from "DÜSSELDORF FLUGHAFEN (DUS)" to "Münster (Westf) Hauptbahnhof". Trains (one change is necessary) run approx. 1:20 hrs. and one way fees are around 25 Euros per Person.